Within Teamwork Projects, you can enable two-factor authentication for your profile, adding an additional layer of protection to your account. When enabled, each time you sign in to any Teamwork application, you will need to enter both your password for your account, and a verification code from the Google Authenticator app. Click your profile icon in the top right corner of your site, and select Edit My Details from the dropdown menu. 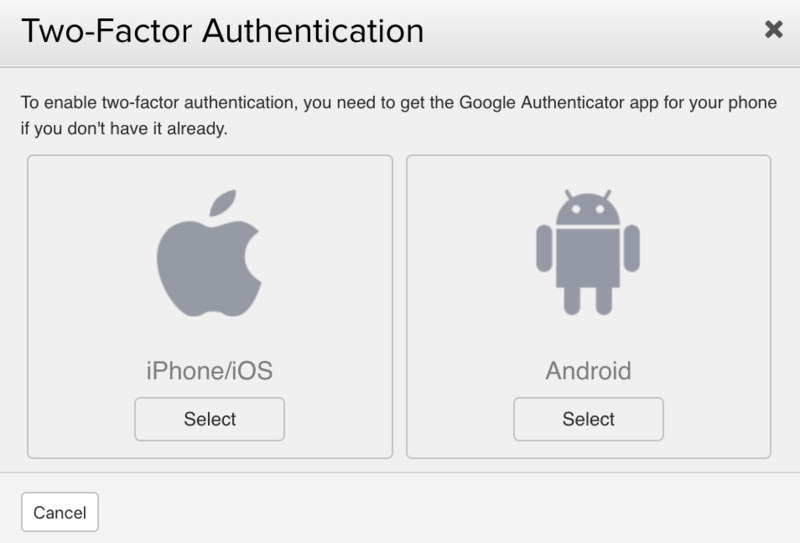 In the edit details modal, go to the Account tab, where you will see an option to enable two-factor authentication. When you click Enable, you will find links to download the Google Authenticator app for iOS and Android. Once you have installed the app on your device, select Continue. For iOS and Android, you will be given a barcode to scan using your mobile camera. If you cannot use the barcode, click Can't scan the barcode? and you will be given an alternative authentication code. 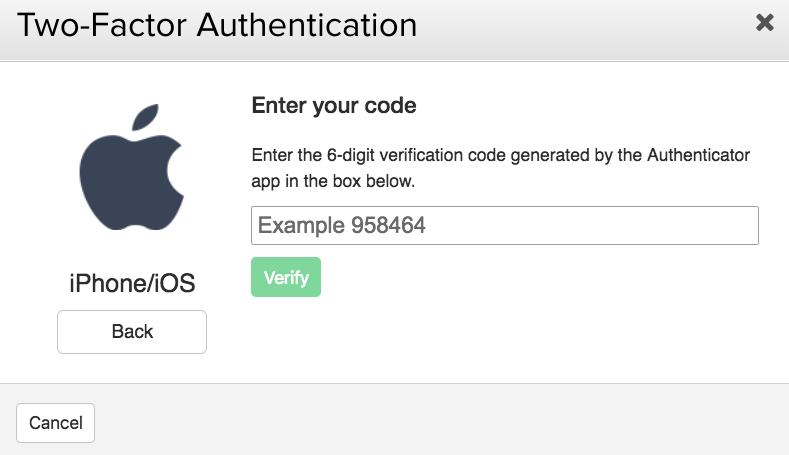 Once you have added the barcode/authentication code on your phone, the Authenticator app will give you a 6-digit code, which you will need to enter in Teamwork Projects to verify the setup. Note: Two-factor authentication is available on the Premium plan and above.